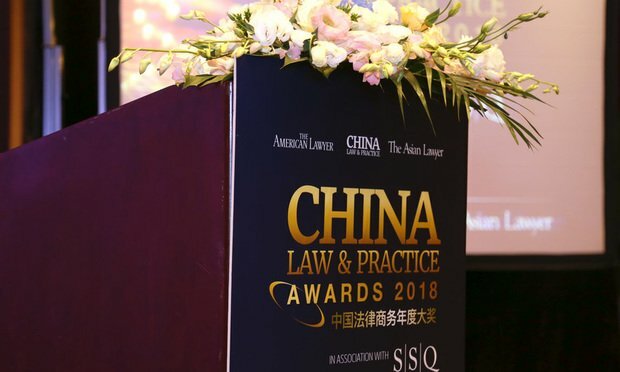 On September 14, nearly 200 leading legal professionals attended the eleventh China Law & Practice Awards, held in association with SSQ at the Park Hyatt Beijing. The 2017 Awards received over 880 individual nominations. In their selections of finalists and winners, the CLP Awards have always strived to focus on innovation and excellence—factors that have become even more important this year as clients seek new ways of raising money, making investments and capitalizing on rare and strategic opportunities, amid a geopolitical and economic outlook that appears more uncertain than ever. The big winners of the night included JunHe and Clifford Chance taking home the SSQ China and International Firm of the Year grand prizes, respectively, and King & Wood Mallesons being awarded this year’s SSQ Most Innovative Firm. This year’s ceremony also commemorated the passing of the PRC Anti-monopoly Law (AML) by the National People’s Congress a decade ago in August 2007. The law was an incredible leap forward for China, put forward to regulate business conduct in what was already one of the largest, most profitable, and complex markets in the world. China’s competition legal regime has evolved in the 10 years since, with the nation rising to the global stage, and a stream of measures, guidelines, policies, interpretations, court decisions, and enforcement actions all shaping today’s antitrust framework. China Law & Practice was honored to award the 2017 Outstanding Achievement Award to Professor Huang Yong, the Deputy Head of the Expert Advisory Board of the State Council’s Anti-monopoly Committee and a scholar who played a key role helping to draft the AML itself, for his valuable contributions to the nation’s competition legal system and so many other great accomplishments in his career. Thank you to our headline sponsor SSQ for their generous support, and to all the teams that submitted information about their work and spoke with the judges. We look forward to welcoming you back to celebrate your achievements next year. Congratulations to all winners and finalists. China Law & Practice was proud to present the 2017 Outstanding Achievement Award to renowned antitrust legal scholar Professor Huang Yong, Deputy Head of the Expert Advisory Board of the Anti-monopoly Committee at the State Council, and director of Competition Law Center at the University of International Business and Economics (UIBE) School of Law. We honored Professor Huang for his remarkable impact on China’s competition law and fundamental anti-monopoly legislation in the year of the 10th anniversary of the passing of the PRC Anti-monopoly Law, which Professor Huang himself helped draft, having advised the government and lawmakers through the entire process. He played a key role in shaping the law and its guidelines, regulations and interpretations, working closely with the National Development and Reform Commission, Ministry of Commerce, the State Administration for Industry and Commerce, and the Supreme People’s Court. He served as a member of the Advisory Board for the State Council and as an advisory expert for the Legal Committee of the National People’s Congress until the law was enacted. Professor Huang has published works on competition law extensively in both Chinese and English, and has been entrusted by various PRC government bodies, as well as international organizations and bar associations, to speak about and conduct research projects on antitrust legislation and enforcement, industrial policy, intellectual property rights, and innovation. A longstanding contributor to China’s legal initiatives, Professor Huang is also a member of the Advisory Committee of the State Administration of Quality Supervision, Inspection and Quarantine, as well as a delegate in the Beijing Municipal People’s Congress, holding a seat in its Financial and Economic Committee. Professor Huang received his LL.B. degree from Peking University, and his LL.M. and PhD degrees from UIBE. His extraordinary academic and legislative accomplishments are perfectly in line with the mission of the China Law & Practice Outstanding Achievement Award. 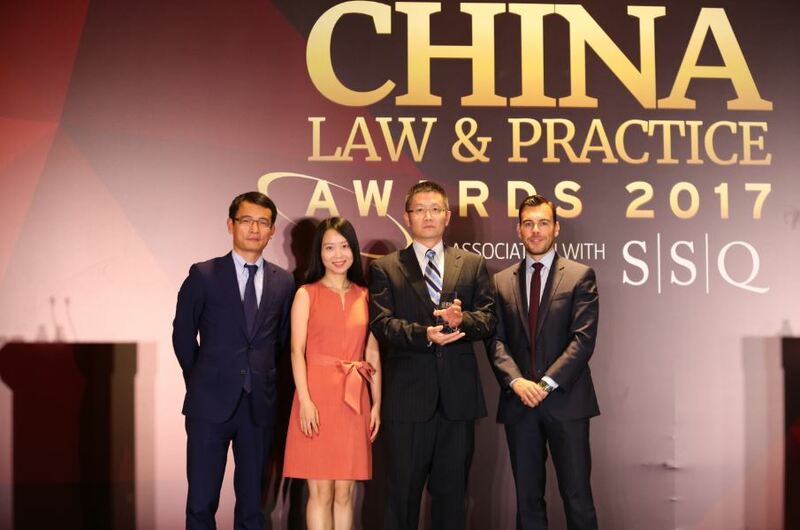 On behalf of China’s legal community, we were proud to extend this award to Professor Huang Yong, for his efforts and contributions to building the backbone of China’s competition law that we know and work with today.